Did you know that peanut butter can be turned into a diamond? Or that the world's oldest pet goldfish lived to be 43 years old? It's all totally weird ... but true! The world can be a pretty wacky place! 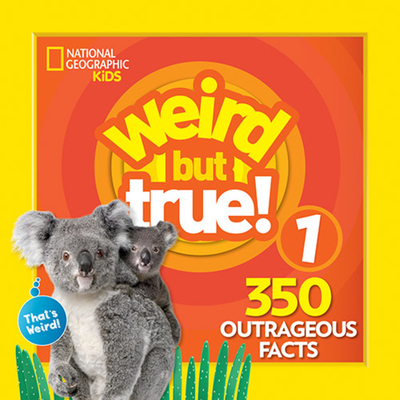 Kids will have a blast exploring just HOW wacky in the first book in the wildly popular Weird But True series, full of 350 surprising and amazing facts. Topics include science, space, weather, geography, food, pop culture, and just about everything else under the sun, presented with fascinating photos and illustrations. This quirky little reference is so much fun, kids forget they're learning.